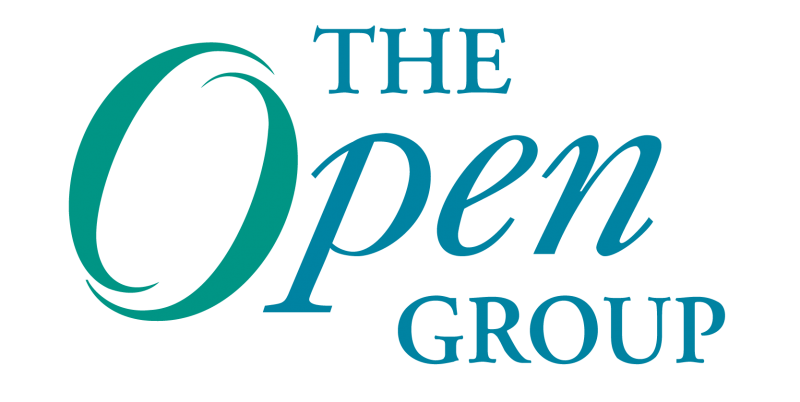 A big thank you to all of our members and staff who have made 2012 another great year for The Open Group. There were many notable achievements this year, including the release of ArchiMate 2.0, the launch of the Future Airborne Capability Environment (FACE™) Technical Standard and the publication of the SOA Reference Architecture (SOA RA) and the Service-Oriented Cloud Computing Infrastructure Framework (SOCCI). Big Data is on top of everyone’s mind these days. Consumerization, mobile smart devices, and expanding retail and sensor networks are generating massive amounts of data on behavior, environment, location, buying patterns – etc. – producing what is being called “Big Data”. In addition, as the use of personal devices and social networks continue to gain popularity so does the expectation to have access to such data and the computational power to use it anytime, anywhere. Organizations will turn to IT to restructure its services so it meets the growing expectation of control and access to data. Organizations must embrace Big Data to drive their decision-making and to provide the optimal service mix services to customers. Big Data is becoming so big that the big challenge is how to use it to make timely decisions. IT naturally focuses on collecting data so Big Data itself is not an issue.. To allow humans to keep on top of this flood of data, industry will need to move away from programming computers for storing and processing data to teaching computers how to assess large amounts of uncorrelated data and draw inferences from this data on their own. We also need to start thinking about the skills that people need in the IT world to not only handle Big Data, but to make it actionable. Do we need “Data Architects” and if so, what would their role be? In 2013, we will see the beginning of the Intellectual Computing era. IT will play an essential role in this new era and will need to help enterprises look at uncorrelated data to find the answer. Increase of significant and persistent threats targeting government and large enterprises. The notable U.S. National Strategy for Trusted Identities in Cyberspace started to make progress in the second half of the year in terms of industry and government movement to address fundamental security issues. Security breaches were discovered by third parties, where the organizations affected had no idea that they were breached. Data from the 2012 Verizon report suggests that 92 percent of companies breached were notified by a third party. Acknowledgement from senior U.S. cybersecurity professionals that organizations fall into two groups: those that know they’ve been penetrated, and those that have been penetrated, but don’t yet know it. In 2013, we’ll no doubt see more of the same on the attack front, plus increased focus on mobile attack vectors. We’ll also see more focus on detective security controls, reflecting greater awareness of the threat and on the reality that many large organizations have already been penetrated, and therefore responding appropriately requires far more attention on detection and incident response. We’ll also likely see the U.S. move forward with cybersecurity guidance from the executive branch, in the form of a Presidential directive. New national cybersecurity legislation seemed to come close to happening in 2012, and when it failed to become a reality, there were many indications that the administration would make something happen by executive order. Preparatory to my looking back at 2012 and forward to 2013, I reviewed what I wrote last year about 2011 and 2012. Probably the most significant thing from my perspective is that so little has changed. In fact, I think in many respects the confusion about what Enterprise Architecture (EA) and Business Architecture are about has gotten worse. The stress within the EA community as both the demands being placed on it and the diversity of opinion within it increase continues to grow. This year, I saw a lot more concern about the value proposition for EA, but not a lot of (read “almost no”) convergence on what that value proposition is. Last year I wrote “As I expected at this time last year, the conventional wisdom about Enterprise Architecture continues to spin its wheels.” No need to change a word of that. What little progress at the leading edge was made in 2011 seems to have had no effect in 2012. I think this is largely a consequence of the dust thrown in the eyes of the community by the ascendance of the concept of “Business Architecture,” which is still struggling to define itself. Business Architecture seems to me to have supplanted last year’s infatuation with “enterprise transformation” as the means of compensating for the EA community’s entrenched IT-centric perspective. I think this trend and the quest for a value proposition are symptomatic of the same thing — the urgent need for Enterprise Architecture to make its case to its stakeholder community, especially to the people who are paying the bills. Something I saw in 2011 that became almost epidemic in 2012 is conflation — the inclusion under the Enterprise Architecture umbrella of nearly anything with the slightest taste of “business” to it. This has had the unfortunate effect of further obscuring the unique contribution of Enterprise Architecture, which is to bring architectural thinking to bear on the design of human enterprise. 2012 has seen the establishment of Cloud Computing as a mainstream resource for enterprise architects and the emergence of Big Data as the latest hot topic, likely to be mainstream for the future. Meanwhile, Service-Oriented Architecture (SOA) has kept its position as an architectural style of choice for delivering distributed solutions, and the move to ever more powerful mobile devices continues. These trends have been reflected in the activities of our Cloud Computing Work Group and in the continuing support by members of our SOA work. The use of Cloud, Mobile Computing, and Big Data to deliver on-line systems that are available anywhere at any time is setting a new norm for customer expectations. In 2013, we will see the development of Enterprise Architecture practice to ensure the consistent delivery of these systems by IT professionals, and to support the evolution of creative new computing solutions. IT systems are there to enable the business to operate more effectively. Customers expect constant on-line access through mobile and other devices. Business organizations work better when they focus on their core capabilities, and let external service providers take care of the rest. On-line data is a huge resource, so far largely untapped. Distributed, Cloud-enabled systems, using Big Data, and architected on service-oriented principles, are the best enablers of effective business operations. There will be a convergence of SOA, Mobility, Cloud Computing, and Big Data as they are seen from the overall perspective of the enterprise architect. Within The Open Group, the SOA and Cloud Work Groups will continue their individual work, and will collaborate with other forums and work groups, and with outside organizations, to foster the convergence of IT disciplines for distributed computing. Thanks for these thought provoking pieces. I have a question for Dave. Can you explain what you mean by Intellectual Computing (new term for me) and why IT only plays a role (albeit essential) in this? Or perhaps I should ask what IT means in this context. And then an observation. If Len is right, which I think he is, then there will be considerable challenges for the development of the enterprise architecture practice, which Chris predicts for the combination of Cloud, Mobile Computing and Big Data. I’d be interested to know how Dave and Chris react to Len’s assertions. Completely agree with Len’s comment on Enterprise and Business Architecture. I would like to see the Open Group and TOGAF taking the lead on how to embed skills and capability to better articulate the value proposition of architecting. In my view TOGAF is too method- and deliverable- centric. Too many architects, encouraged by the ADM and other frameworks, focus too narrowly on producing unconsumed deliverables (…architectural waste: http://architecturalthinking.net).